That August night in 1895 was hot. The old man, Peter, rose from his bed and stood by the open window in his bedroom. The heat was not what disturbed him, however. It was a dream that had awakened him that night. It was a strange dream; one that ended quite differently than it began. It started as a familiar dream from his past. In the dream, Peter was once more working with Marcellus Churchill on his estate. At least he was trying to work. But the Churchill’s daughters were there begging Peter to take a break. Peter gave the Churchill children rides on an old horse. The girls were still just children in the dream, though Peter knew they were all grown up now with families of their own. The dream suddenly turned dark and ominous. He still saw the girls but realized they were no longer laughing. They were crying and Peter heard Florence’s voice. Flo, as Peter called her, had always been his favorite. In his dream, Flo was calling to Peter for help and reaching her arms toward him. The dream stayed with Peter all the next day. He had no idea why this dream bothered him so much. He hadn’t worked for the Churchill family for years. In fact, Marcellus and Abby were both dead and the children had moved around so often that Peter had no idea where they all were living. Peter decided that he would check with their old neighbors to see if they had heard from the girls. Peter’s unease grew as he approached the neighbor’s house. When he asked about the Churchill girls, the neighbors told him they had gotten some bad news that day. The young girl he knew as Flo was dead. 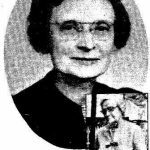 Florence Churchill Frances was the daughter of Marcellus and Abby Churchill. 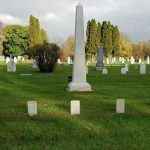 She was born in 1859 in Rockford and spent her childhood chasing her siblings around her parent’s homestead. 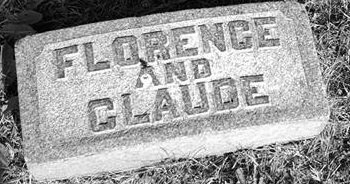 Florence married Arthur Frances in 1888 and the couple had a beautiful little boy they named Claude after Flo’s little brother who had passed away years before. Their little boy meant everything to his parents and they felt their lives were very blessed. Arthur worked hard to give his family a good life. Arthur was especially proud that he could afford to take his little family away for a wonderful trip in the summers. In August of 1895, the little family went on vacation to their favorite place at the Willows Resort on Spring Lake near Grand Haven, Michigan. They arrived at the lake on Thursday, August 15, 1895. Claude was four that summer and loved to play in the water at the shallow end of the lake. On Saturday, Arthur went off with some of the men for a fishing trip, leaving Flo and Claude to spend the day by the lake. It was a warm day and there were quite a few people that were enjoying the water and the shade trees that lined the lake. Flo watched her son play in the lake but was unaware that the area contained a dangerous drop off under the water. Unfortunately, Claude wandered over to the area. Witnesses saw the little boy splashing in the water but every one of them thought that the child was just playing. They had no idea that the little boy was fighting for his life. Florence saw her son and rushed into the water to save him. She too, got into the deep hole when she grabbed her boy. Flo wore a full-length dress with several layers of petticoats underneath. All of that material quickly became soaked and weighed so much that Flo was unable to escape the water. She quickly sank to the bottom with her little boy held tightly to her chest. 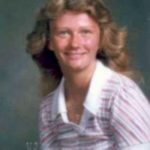 Flo was found at the bottom of the lake an hour later. Claude was still wrapped inside his mother’s arms. The men who had brought the bodies up were haunted by the sight of the young mother and her child. Of course, those men weren’t the only ones left haunted by the deaths. Arthur lost his whole family in a few horrible moments and Flo’s sisters were left with a huge void in their lives. Peter, the man who had such a dreadful dream of Flo calling out for his help, was completely devastated. He spent the rest of his life wondering if there wasn’t some way that he could have saved Flo and her little boy.